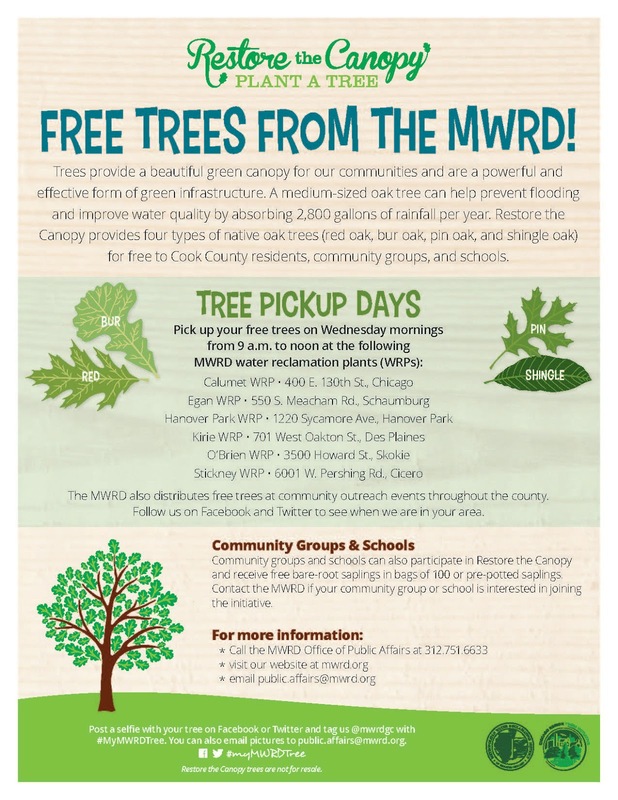 To restore Cook County's tree canopy, which has been decimated by the emerald ash borer in recent years, the Metropolitan Water Reclamation District is issuing tree saplings to Cook County schools, local agencies, community groups and other organizations. If you want to make an investment in the future, trees are available each Wednesday morning at various water reclamation plants throughout the county. The closest one to Uptown is at 3500 Howard Street in Skokie. For more details, see the MWRD's page about free trees here.